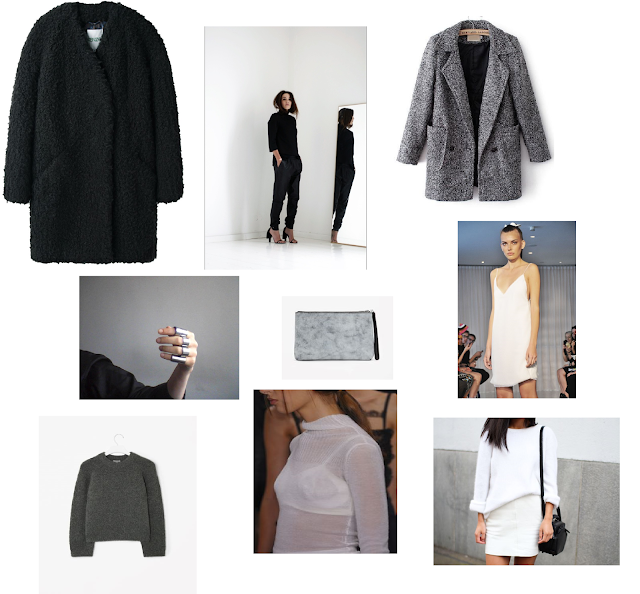 Grey, white, black, tweed, turtle necks, knits, oversized coats, slip dresses, silver. Anything like those pieces are winners with me the next few cold months. pinterest is an amazing place to find fashion inspiration! we love oversized grandpa coats and tweed coats! could you check out mine please? would be an honour! great pics hunny i feel like doing a big autum wardrobe shop now! hey hope you can stop buy our giveaway 2xmac, benefit and urban decay woohoo! !